To begin with, can you tell us a little about your background? And how has your experience as an expat influence your career? What advice would you give to other expats who are looking to use their backgrounds to move forward in their careers? Leadership skills are vital to promotions, raises, and general career progression. What does it mean to be a truly ‘authentic’ leader? On Wednesday, you’ll be teaching about Emotional Intelligence and how we can use it better for career success. What is Emotional Intelligence, and why is it important for us to understand? “Emotional Intelligence is your ability to tweak your mindset, motivations and habits in ways that are aligned with your values and goals. Its not about ‘positive thinking’ as much as it is about having a high level of self awareness (the ability to accept your thoughts and feelings with curiosity + kindness), a healthy way to manage your responses, and having enough social awareness to be able to foster healthy relationships. You have described yourself as a ‘life-long learner.’ What is one of the most important life lessons you’ve learned? 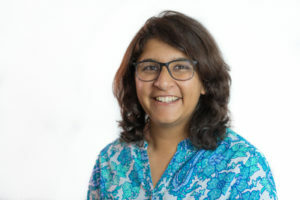 Dipti Sirisinahal is a HR Director & Certified Leadership Coach who works with aspiring leaders to help them have integrated and fulfilling careers by helping them tackle the root cause of their challenges: their underlying thoughts and emotions. Dipti believes that the rise of Artificial Intelligence makes Emotional Intelligence even more important since it’s skills like self-awareness, relationship management and social awareness that will become critical differentiators for future leaders, as artificial intelligence and machine learning take over our other tasks. Dipti has supported leaders from early career to seasoned Fortune 500 leaders across a wide range of industries (Hospitality, CPG, Financial Services & Technology). Dipti is a certified Leadership Coach and Energy Leadership Index Master Practitioner (ELI-MP). She holds a Masters degree in Human Resources from University of Illinois, Urbana Champaign. Dipti moved to the US in 2008 from Chennai, India and currently lives with her husband and toddler in the Bay Area.